Instant film photography has had a rough decade or two with the advent of smartphones and more affordable point-and-shoot cameras. Still, though, it persists in various formats from two notable companies, Fujifilm and Polaroid Originals (previously known as the Impossible Project, the company that singlehandedly kept the Polaroid brand from fading into oblivion). To help you better pick out what camera is best for your needs, we’ve rounded up the best instant cameras in categories ranging from simple point-and-shoots to fully manual machines. Polaroid’s original OneStep camera is as iconic as it gets in the world of instant — and photography in general. Although the original, first made in 1977, has long stopped being produced, Polaroid Originals has revived the OneStep with the OneStep 2 i-Type Camera. Inspired by the original, the OneStep 2 i-Type Camera blends classic design with contemporary style and adds a few new technological improvements to bring the design into the 21st century. The camera now uses a rechargeable USB battery with a 60-day battery life and can shoot both Polaroid 600 film, as well as Polaroid’s i-Type film. 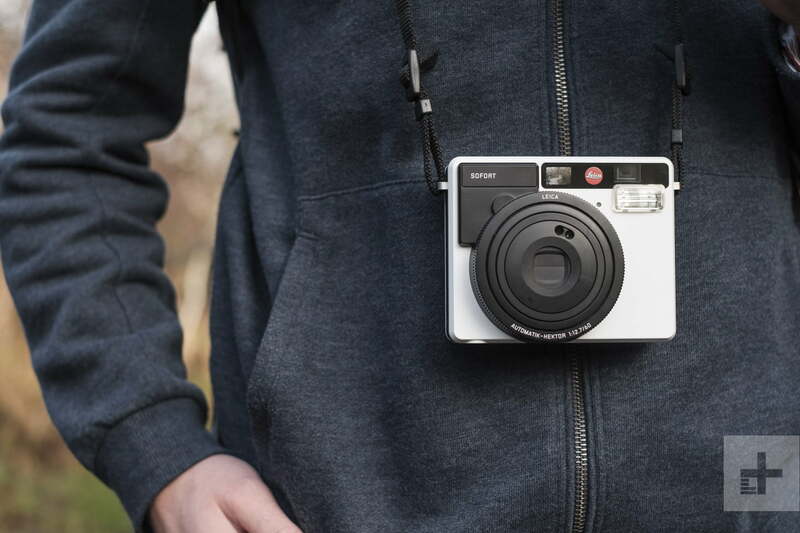 Leica is most known for its impressive lineup of 35-millimeter rangefinder cameras, but even the storied German camera maker has jumped on the instant photo bandwagon — with the $300 Sofort that uses Instax Mini film. In fact, the Leica Sofort — which means instant in German — is merely a redesigned and rebadged Fujifilm Instax Mini 90. That includes the 60mm f/12.7 lens, so it’s not like the Sofort’s premium price will get you better image quality over the Instax. What it does get you is style. The Sofort is simply the best-looking instant cameras available, and one of the few that doesn’t look like a child’s toy. If we had to pick an instant camera to wear around our neck out in public, it would be this one. Oh, and while it’s not cheap for an instant camera, it’s still by far the most affordable Leica you can get your hands on. So if you’ve got red dot envy, the Sofort may be the easiest way to cure it. The Mini 90 is a more robust device than the aforementioned Instax Mini 9, one that dons a retro aesthetic to boot. Inspired by the leather-adorned cameras of yesteryear, the Instax Mini 90 wouldn’t look too out of place next to a Leica M-series camera if you didn’t know it was made of plastic. The Instax Mini 90 offers a rechargeable battery, an integrated LCD display, and manual exposure control for more precise snapshots. On the rear of the camera, you’ll find five buttons, located directly below the two LCD displays. These are used to control exposure and shooting modes, as well as the timer. The most welcome button of all, however, is the dedicated flash button, which lets you turn off the flash. On the front of the camera is the power switch, which turns the camera on and extends the same 60-millimeter lens used in Fujifilm’s other Instax cameras. Unlike the Instax Mini 9, the Mini 90 offers a closer focusing distance of just 0.3 meters to infinity, meaning your selfies will be sharp even if your reach is limited. 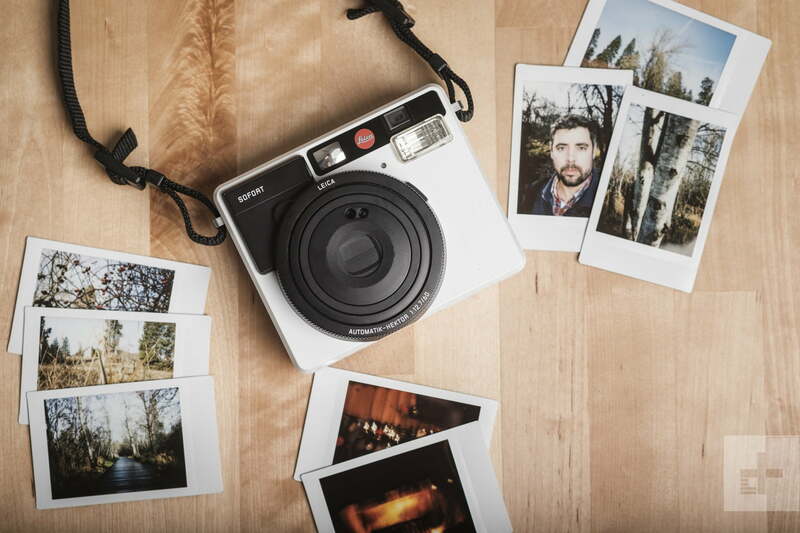 The analog-inspired aesthetic of the Instax Mini 90 sets it apart from Fujifilm’s other offerings, and when you throw in the additional exposure controls and rechargeable battery, you have yourself a rather capable Instax camera that retails for $140. Inspired by twin lens reflex cameras, the Mint InstantFlex TL70 2.0 takes a whole new approach to Instax photography. Like an old Rolleiflex, the Mint InstantFlex TL70 2.0 offers a top-down view using its 1:1 preview waist-level viewfinder. Unlike most other Instax cameras, the Mint InstantFlex TL70 2.0 offers full focus and aperture control. This gives you more creative control when capturing an Instax photo, most notably when it comes to shallow depth of field, which is difficult to come by in most instant cameras. An integrated flash for capturing late-night selfies is also hidden beneath the InstantFlex nameplate. At $389, it’s one of the more expensive options available, one that rivals the cost of the original cameras it draws inspiration from. However, if you don’t mind shelling out the dough for a unique experience and aesthetic, it’s a solid option that will help you stand out from the crowd. This Fujifilm is arguably the most advanced instant camera to ever hit the market. Unlike the other cameras on our list, the SQ10 is actually a digital camera with a built-in analog printer. Additionally, it is the first Instax camera to use the new Instax Square format, which closely resembles original Polaroid film (albeit, a touch smaller). The SQ10 captures 1,920 x 1,920-pixel JPEGs and can save 50 images to its internal memory. Files can be transferred to a computer via Micro USB and memory can also be expanded with a Micro SD card. If one photo in particular looks good, you can also immediately print one (or many) out onto the 1:1 ratio Instax film. The lens is a 28.5-millimeter equivalent with a fast f/2.4 aperture. The technology behind how the Instax film is exposed is a bit of a secret, but it’s safe to say Fujifilm uses the same technology behind its SP-2 instant film printer. Being a digital system, the SQ10 also features autofocus with facial recognition, automatic exposure, multiple shooting modes, and a host of creative effects.